So what amazing things will you find at ICSA to see and do, that are FREE? There are three "Live, Laugh and Learn" demonstration stages positioned throughout the show, each holding hourly demonstrations on the hour, every hour. 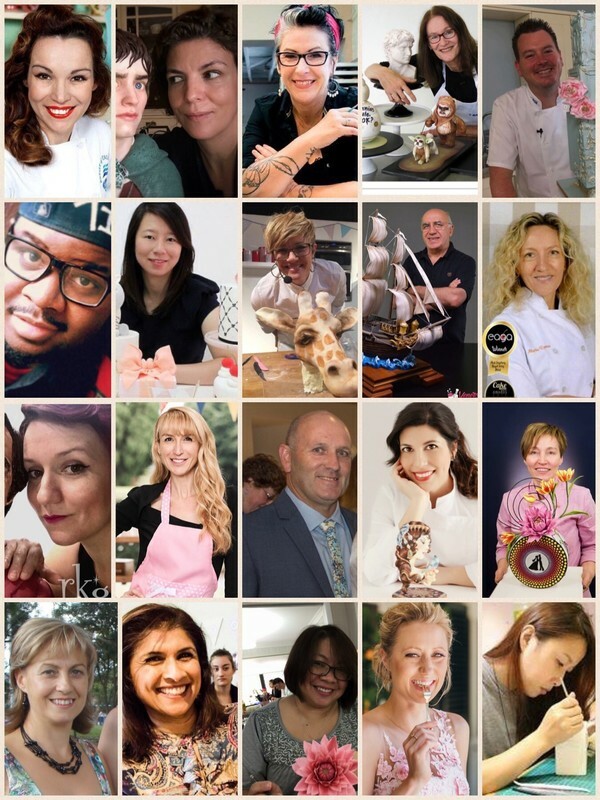 Celebrity chefs, cake and cookie artists, bakers and chocolatiers will be there to share the tricks of their trade and skills with you. The demonstrations are a fantastic learning opportunity and great way to expand your skills. With so many amazing demonstrations on offer it would be impossible to see them all in one day. You will need to study the demonstration program carefully and plan your time at the show. You will be able to find the Live Laugh and Learn Demonstration Program here VERY SOON. Its only days away! Every area of cake and cookie decorating will be covered, from the foundations for beginners through to quick tricks and advanced techniques for the more experienced. 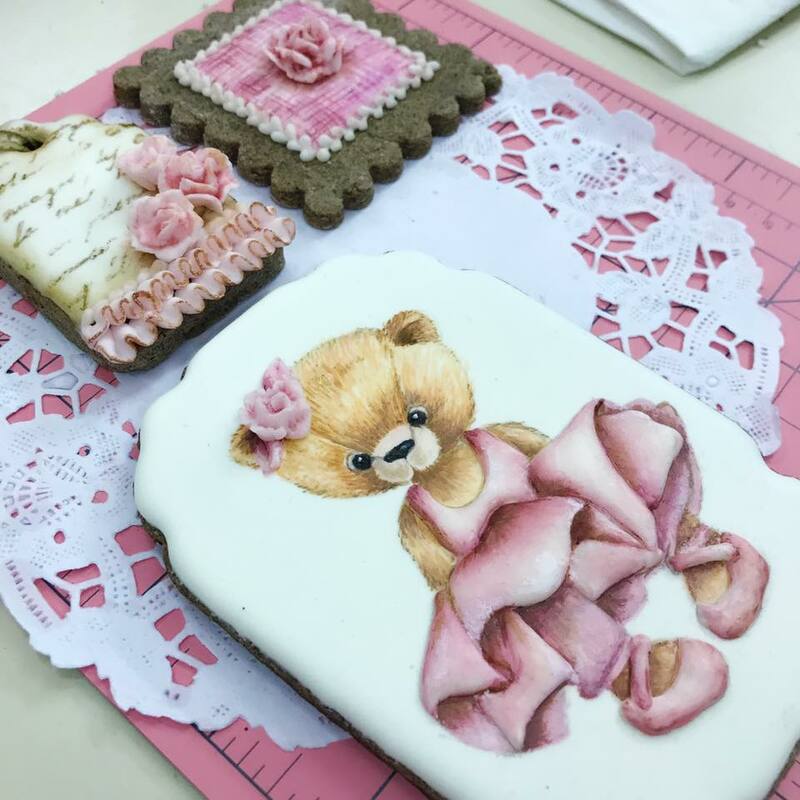 You will be able to learn about Chocolate Modeling, Pastillage, Sugar Flowers, Cookies, Piping, Sculpting and so much more! Karen Portaleo, Paul Bradford, Timbo Sullivan. Verisca Walker, Marta Hidalgo, Margie Carter, Sharon Wee, Dorothy Klerck, Serdar Yener, Marta Torres, Zoe Byres, Monica Cavallero, Aixa Zunino, Anna Maria Roche, Maria Shaw, Greg Cleary, Faye Andrews, Paul Delaney, Shan Weerasiri, Caitlin Mitchell and Mio Shih. 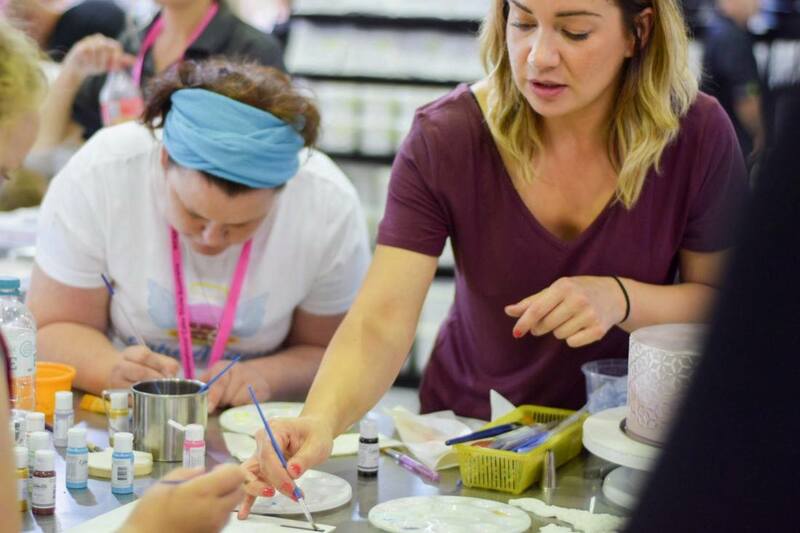 In addition to key events, there are also many of Australia's most talented food artists sharing their skills on the dem stages. In addition to Australia's largest cake decorating competition cakes which will be on display, you will find cake displays and special edible features right throughout the show. Don't expect anything ordinary, this show is all about fun and creating edible magic! Don't forget to visit Collaboration Corner, where you will be able to see the amazing Global Collaboration Australia, exhibit. You will see everything imaginable in cake at ICSA. However one area not to miss is the magnificient organza draped Haute Couture Wedding Cake Designer's Marquis where nine of Australia's most awarded wedding cake designers will be invited to display their exquisite cakes and sugar bouquets. To be invited to compete in this area of the show is a huge honour. It's by invitation only. 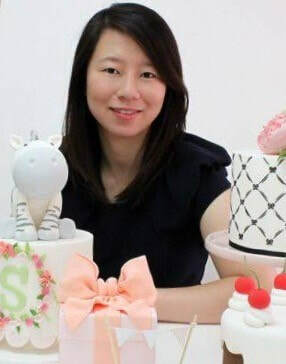 Many of the wedding cake designers showcasing their cakes in this area have won prestigious Australian and international awards. All will have been featured in many bridal magazines. They will be competing for the title of "ACADA Haute Couture Wedding Cake Designer of the Year." Voting is by the public (not by the judges), so don't forget to pop by the marquis to vote. If you are planning your own wedding, the designers will be happy to provide you with friendly wedding cake advice. The Haute Couture Wedding Cake Designers' Marquis is just inside the show entry. Bridal Lane is where you will find everything you need to organise a spectacular wedding. The best of the best photographers, florists, wedding stylists, wedding gown designers will be there. If you are bride to be, don't forget to pick up your free copy of Brisbane Bride Magazine! Over these two days each team must build their enormous masterpiece from scratch! Karen Portaleo, together with a team of celebrity chefs will compare and judge the cake off. Karen will have her own area at the show, so don't forget to pop by to have a photo taken with Karen or just to say "hi". There will be approximately 90 pop up shops at the show. Many will also have their own sculpting or demonstrations. Don't miss Monica Cavallaro from Great Australian Bake Off. She is usually the one being tested, however at the show she'll be weaing a different hat. Monica from Moreish Cakes will not only be doing workshops she will be our roaming media ambassador. 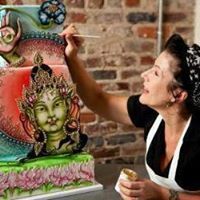 She will be wandering around the show filming and interviewing those guessts and many of our wonderful celebrity chefs, cake and cookie artists. If she stops you, don't forget to greet her with a huge smile. We'll be loading all of her interviews and pictures onto the ACADA ICSA social media sites, so you can download them. All the demonstrations ARE FREE, once you have paid for your show ticket. Hourly cake decorating demonstrations will be held on several stages throughout the show, every hour on the hour. The full demonstration program will be available here soon so you can carefully pre plan what you want to learn on each day. There will be heaps of shops and exhibitors at ICSA. They are coming from all states of Australia and from overseas. You'll find innovative ground breaking products through to all your old favourites. Many shops will have their own celebrity cake artists sharing their skills within their own stalls. Many are currently working hard, sourcing giveaways and special offers. Save your pennies because it will definitely be a case of shop till you drop. 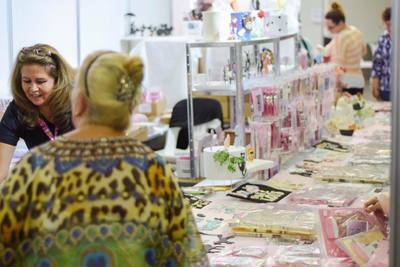 Exhibitors include cake decorating supply shops, manufacturers, distributors. 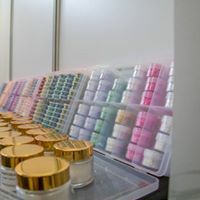 Regardless of whether you want an elegant cake stand, acrylic box, stencils, new innovative tools, equipment, ingredients, colours, fondant, appliances, ribbons, party or cookie supplies it will all be there.